If you’re someone who loves light meals and spice, this Shrimp Fra Diavolo is for you! 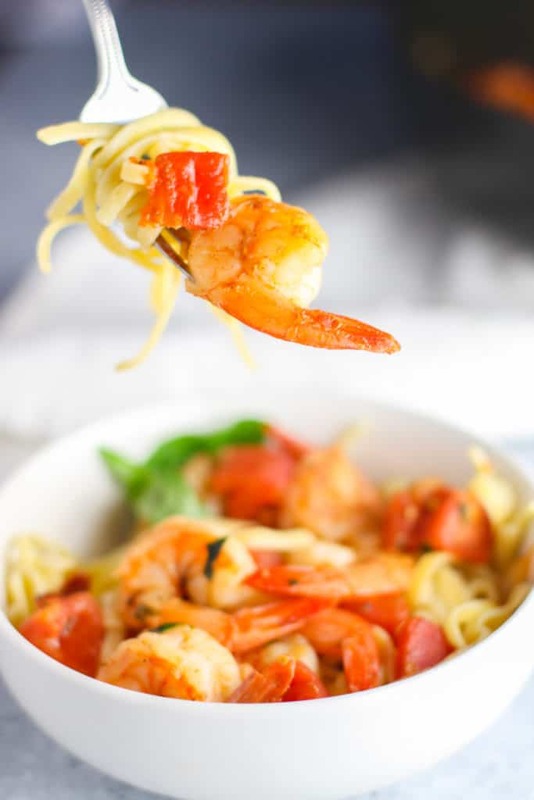 The light tomato sauce with a kick goes perfectly with the briny shrimp and pasta. I made it in college and completely forgot about it until I heard the name on a TV show recently and a light went off. I suddenly remembered making that amazing dish and had to recreate it immediately. 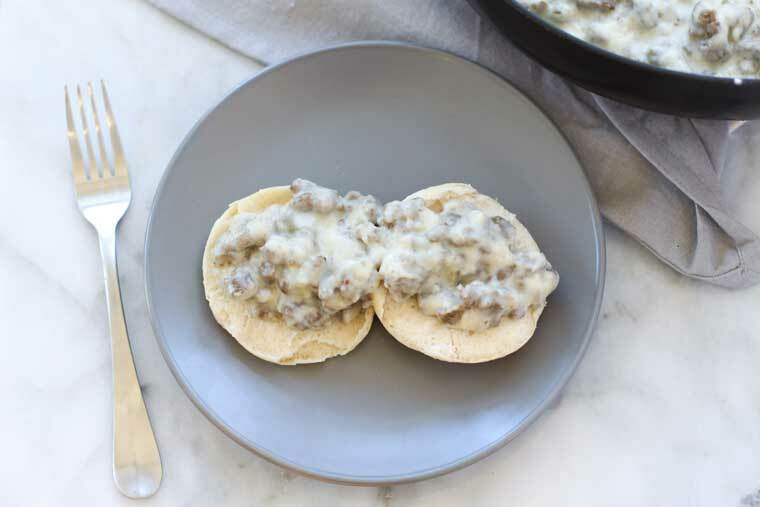 There are so few ingredients in the dish, but they layer perfectly. 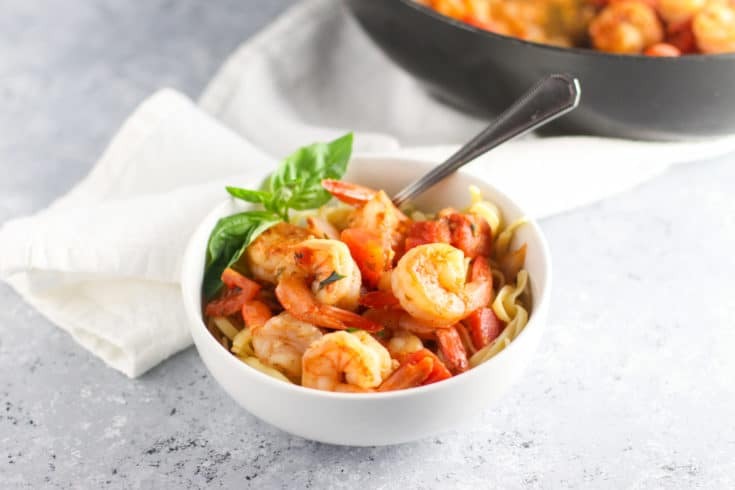 You start out with olive oil that simmers with the garlic and red pepper flakes to give you the kick that the shrimp cook in. This is also where you get to play a fun and tasty choose your own adventure game. If you’re cooking for people who don’t like spicy, I’d go with 1/2 teaspoon of red pepper flakes. If you like heat that builds with every bite, choose 1 teaspoon. If you want to get crazy, just throw some Sriracha or something else in there for fun. 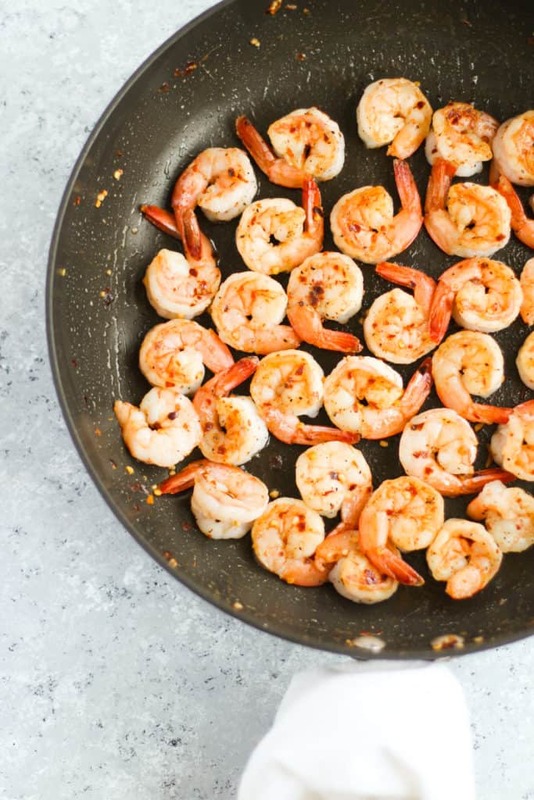 I loveee using white wine to deglaze the pan and get all of the bits of flavor from the shrimp cooking incorporated. It goes perfectly with the tomatoes. I personally can’t wait until summer to try this again with fresh tomatoes and basil from the garden. Few things will ever beat walking outside and grabbing the food you’re going to cook with right after. 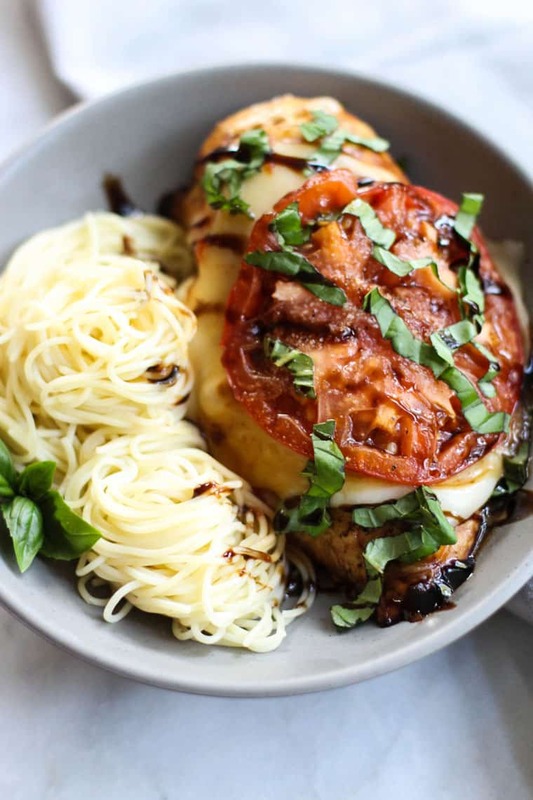 If you’re looking for another fun pasta dish, try out this Easy Seafood Pasta with White Wine Sauce or this Baked Chicken Caprese! This Shrimp Fra Diavolo is light, easy and has the perfect amount of spice! Cook linguine according to box. Drain and set aside. In a large skillet, heat 1 tbsp of olive oil, red pepper flakes, and garlic together over medium heat for 2-3 minutes. Add shrimp, 1/2 tsp of salt, and 1/4 tsp of pepper and cook until shrimp are pink, about 8-10 minutes. 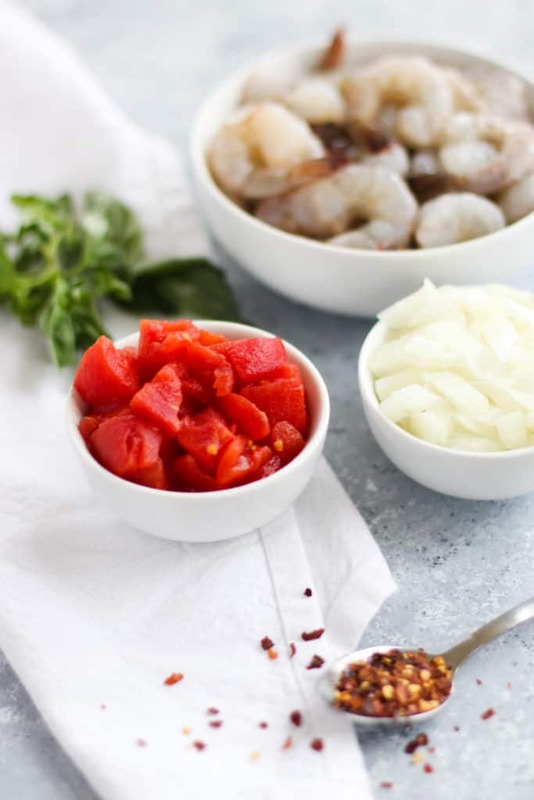 Remove shrimp with a slotted spoon and set aside. Add remaining 1 tbsp of olive oil and onion to pan. Cook 3-5 minutes until onion is translucent. Lower temperature to medium-low. Add in white wine, scrape up any brown spots on the pan and let simmer for 5 minutes. 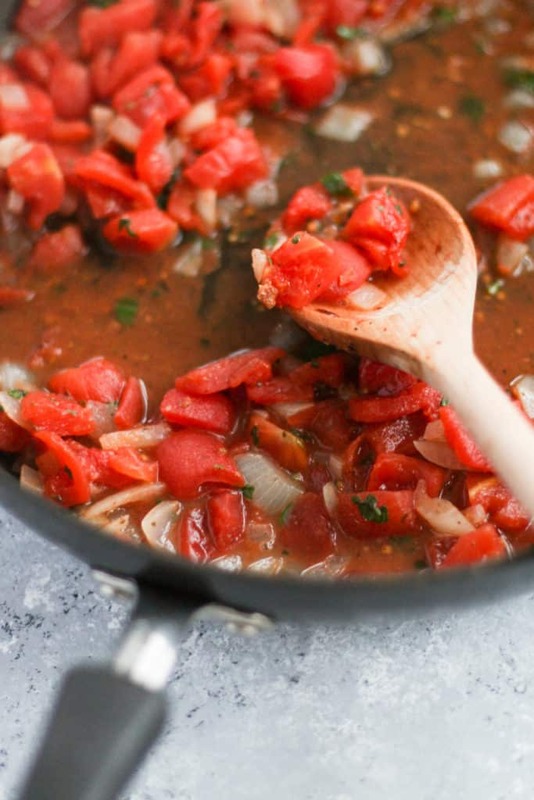 Add in diced tomatoes, oregano, parsley, and basil and mix together. 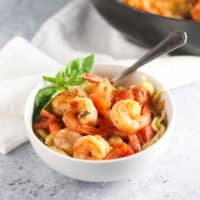 Add in shrimp and let simmer 2-3 minutes. Serve warm over linguine. Enjoy!